Is Lynda Carter Playing a Durlan on Supergirl? 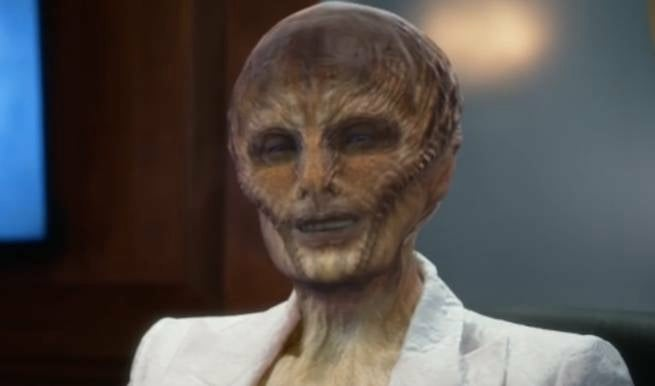 Tonight's episode of Supergirl, titled "Distant Sun," provided the audience with a much clearer look at the "true form" of President Olivia Marsdin, who had been revealed early this season as a shapeshifting alien. The plot thread hadn't really been picked up in the interim, what with all the other crises plaguing the series, but guest star Lynda Carter returned in tonight's episode to give the DEO some direct orders: do not engage the Daxamite royal ship, because she didn't want to cause an interplanetary incident. When the DEO eventually did exactly that, the President called again to chew Director Henshaw/J'Onn J'Onzz out...but after the call was over, the fun really started. Whereas her appearance in "Welcome to Earth" was basically a brief shift, just to alert the audience to the character's secret, in the privacy of her own office Marsdin was able to transform completely into a quasi-reptillian alien form. Of course, a reptillian form combined with a shapeshifting power set brings to mind Chameleon Boy, a member of the Legion of Super-Heroes in the comics and therefore an old friend of Mon-El's. The fact that Mon-El namechecked the Durlan race in tonight's episode also points in the general direction of the race having a role to play. A race of shape-shifters, the best-known Durlan is of course Chameleon Boy of the Legion of Super-Heroes. But while his look is a distinctive one, the Durlans of the 20th Century had gotten so used to shapeshifting that they literally forgot what they were "supposed" to look like and ultimately ended up as hooded space beasts with a Cthulu-like visage, a story told in the Invasion! comics of the '80s. 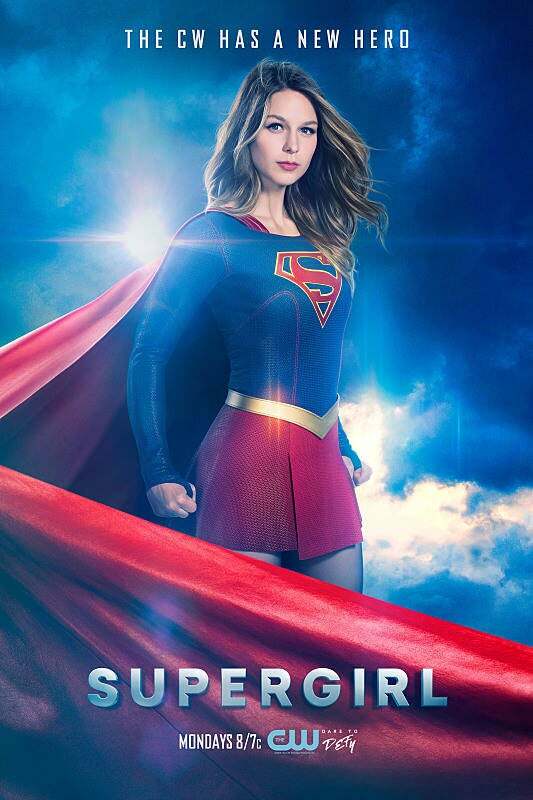 With the Legion of Super-Heroes already established in the mythology of Supergirl (a Legion ring has been spotted in the Fortress of Solitude in the past, suggesting that Superman likely has had experiences with them), ties to the Durlans wouldn't be totally out of left-field...and Twitter has caught on, with way more mentions of the word "Durlan" tonight than you would ordinarily expect.